How long does it take to build customer loyalty? It might start with a great sales experience, but if a customer feels like they’ve been taken advantage of in the sales process, it will be hard convincing them to come back for service. True customer loyalty is built over a period of several years in the service drive. But providing a great customer experience in the service lane is not enough, on its own, to build loyalty. Just because I receive good service somewhere doesn’t make me a loyal customer. In order to become loyal, I’ve got to like and be able to identify with the brand. I also want to feel like my business is appreciated and receive special offers designed just for me—that I can actually use. That’s why your marketing program is such an important part of building customer loyalty. Marketing provides you with the opportunity to tell the story of your brand. Who are the people behind the dealership name? How are they helping out in your community? How do you demonstrate customer appreciation? Are the offers that you send out to customers relevant and personalized, or are they just randomly selected and blasted out in email campaigns with the hope that you’ll get a two percent response rate? Just because a customer redeems a coupon and comes in for a service does not make them loyal. If the only reason they come in is because they got a great deal for a service, guess what? At some point, an independent repair facility will offer them an even better deal, and that customer will defect. The reality is, they were never loyal in the first place. 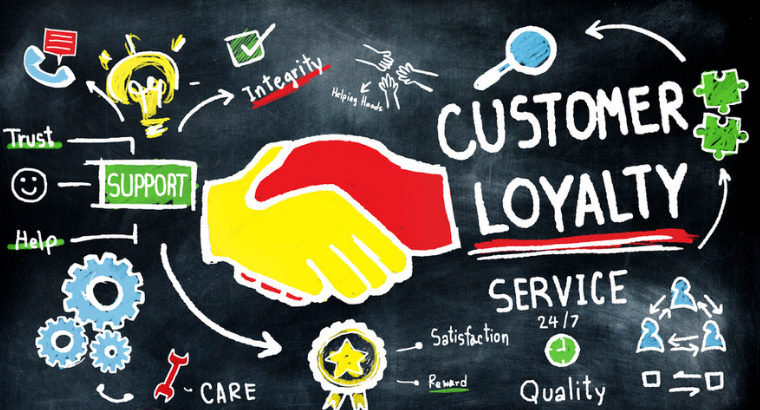 Building loyalty requires playing the long game with a strategic customer retention process. This process requires seamless integration of your brand story, customer experience in your service lane and marketing messages. Dealerships cannot afford to lose this many customers. Yet, most dealers do not make the necessary investments in service marketing to win their customers’ loyalty. The path to loyalty is a long one, and your marketing goals need to align with the customer experience at every step. This phase includes customer awareness, need, research, product selection and the actual purchase. Your marketing goals during this period are to build brand awareness, win customers over, encourage customer action and ensure that your dealership is in consideration. This phase is when the customer is driving the car in their daily routine and they start coming in for standard maintenance. Your primary marketing goal in this phase is to establish yourself as a trusted and knowledgeable resource for their vehicle needs. At this stage it’s also critical to deliver on the promise of an excellent customer experience in the service lane. This is best achieved with technology designed to boost productivity and better manage your dealership. As the vehicle ages and/or goes out of warranty, service needs and spending rises. This is a critical customer defection point, but also the greatest opportunity for retention. You can see by these statistics that customer defection greatly increases once the warranty expires, and once the vehicle is in the hands of a second owner. Does your current marketing strategy address warranty-end customers and second owners? Prior to warranty expiration, your customers should receive messages of appreciation, along with your very best offers for anticipated repairs on their vehicle. This is a critical defection point so you want to do everything you can to keep them coming in. To find 4- to 6- year old vehicles in the hands of second owners, search registration records in your primary market area (PMA) and use tactics like screen scraping to locate and target potential new customers. Also add service conquest campaigns to replace the inevitable defections that do occur. By now, you should be established in the customers’ mind as a trusted resource and the first place your customers think of when it’s time for service. At this stage, equity mining campaigns are also helpful to identify which customers might be good candidates for new vehicle offers. While it’s important to provide customers with a great experience in the service drive, those efforts must be integrated with a marketing strategy that aligns with that experience. Winning customer loyalty requires a strategic approach that targets customers with relevant and personalized offers, as well as marketing messages that tell your brand story and establish your expertise. This takes time, so be sure your marketing strategy is designed to play the long game.